I’ve owned my Instant Pot for almost five months now. I’ve moved from This is Kind of Cool to I Can’t Like Without This Appliance. If you want to read my actual review, you can go check it out on Large Family Reviews. If you just want to know why I can’t live without it, stay right here and read. The Instant Pot is an electric pressure cooker with lots of fun buttons to push. It has been completely life-changing for me in the kitchen. So far I have used the Instant Pot for: oatmeal, rice, pasta, hard-boiled eggs, whole chickens, chicken breast, mashed potatoes, roast, yogurt. And this are just the things I can think of off the top of my head. I easily use my Instant Pot 3-4 times per week. 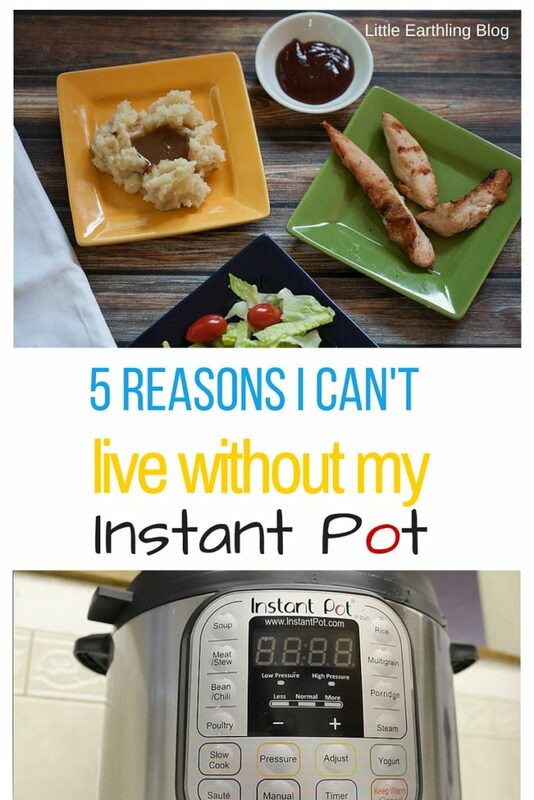 Here are the top 5 Reasons I Can’t Live Without My Instant Pot. I have wanted a yogurt maker for a long-time, but to get one large enough for my family, I was looking at an $80 price tag. $80 for appliance that could only be used to make yogurt. I have made yogurt without a yogurt maker, but it is tedious because you have to keep the milk and yogurt starter at a precise temperature and I was literally babysitting the yogurt all day. The Instant Pot has a yogurt setting and does all he hard work of incubating for you. 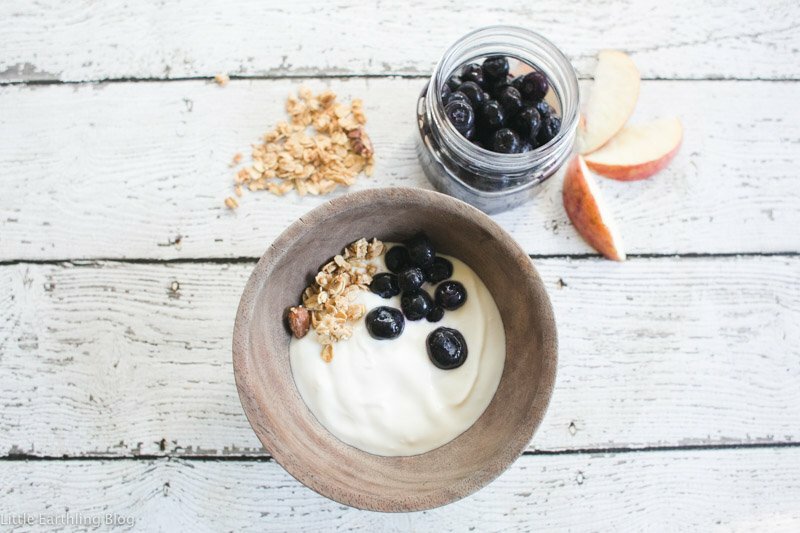 I have been using this recipe here and it makes the best yogurt I have ever tasted. I love the fact that I control the ingredients and the amount of sugar in the yogurt. Hard boiled eggs are a cinch in the pressure cooker. Why? Because the come out magically easy to peel. No more gouging holes in your eggs. This is seriously life changing. This beef broccoli is so absolutely amazing I have made it three times in the last month. This will definitely satisfy your Chinese food craving. I plan to adapt a few of our other favorites (like orange chicken) to the Instant Pot. The saute setting on the instant pot allows me to brown the meat in the beginning and they quickly thicken the sauce and have it ready to serve at the end. The meat came out so soft and tender, just like a crock pot. And it’s fast; less than 30 minutes from start to finish…way better than my crockpot. Also (consider this reason 4.5 that I can’t live without my Instant Pot) Dried Beans. I can put dried beans in my Instant Pot and they will be fully cooked in an hour. No overnight soaking, no cooking on my stove top or in my crockpot for hours. Presoaked beans will be done in about 20 minutes. This is the only way I make mashed potatoes now. All I have to do is peel them and put them in the Instant Pot for 4 minutes with a bit of liquid. Once the potatoes are done, I mash them right int the pot. No more straining the potatoes and trying not to burn myself as I pour boiling water through a colander. Seriously, this is one of those appliances that I wonder how I ever lived without. Have you tried the Instant Pot? What is your favorite thing to cook in a pressure cooker? Quick question. Does it being electric with many settings and buttons lessen or eliminate the explosion risk? We had one go off at a family gathering when I as young and haven’t even considered using one since. I’m a big scaredy cat! Yes, it does! It won’t open if the pressure is built up. I go into this in my actual review (at Large Family Reviews) but I avoided a pressure cooker for years because I was scared of them…this, you just push the button and walk away. I was a little afraid of this at the beginning, but am now 100% comfortable. 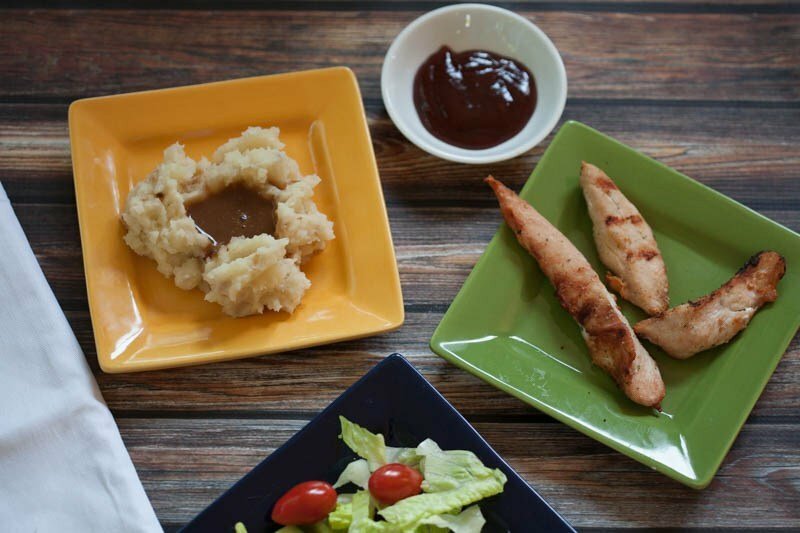 Thank you for sharing your amazing recipe!